Our annual membership appeal for this year continues with wonderful books (shown above) from local authors as free gifts! Make your gift via PayPal by first clicking on the Contact/Donate page of this website and then choosing the level at which you wish to donate. 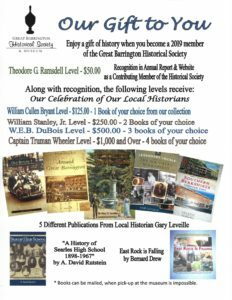 You can also send your check to the Great Barrington Historical Society, P.O. Box 1106, Great Barrington MA 01230-1106. 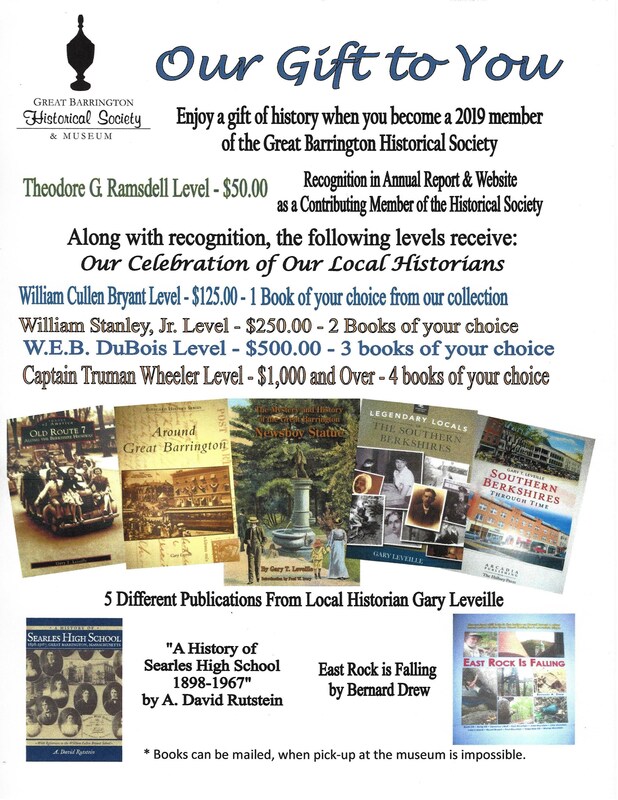 For more information, call us at 914-591-8702 or email us at info@gbhistory.org.